With a watchOS 4 release on the horizon, we already know that fitness lovers can expect a new-look Workout app and the ability to connect your Apple Watch to gym equipment, but it looks like there is much more on the way. 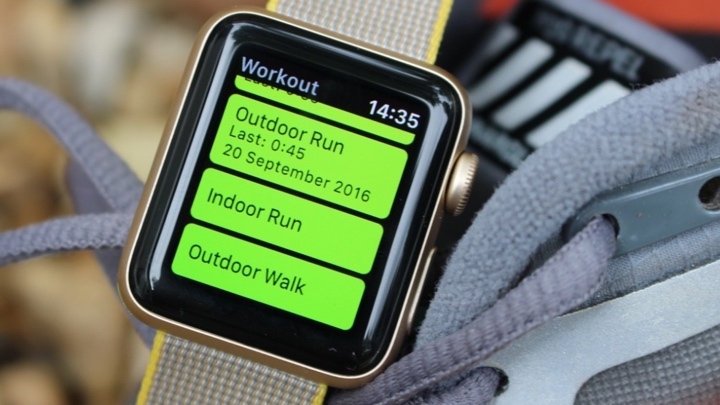 The folks at iHelp BR have discovered within the latest iOS 11 beta icons and code strings for a whole host of exercise modes that are currently not supported by the Apple Watch. The list of activities are: badminton, barre, baseball, bowling, boxing, climbing, core training, cricket, curling, dance, equestrian sports, fencing, fishing, flexibility, functional training, golf, gymnastics, jump rope, kickboxing, lacrosse, paddle sports, pilates, play, sailing, skating, skiing, other snow sports, step training, strength training and surfing. Apple has already confirmed that a dedicated exercise mode for high intensity interval training (HIIT) was incoming, while a skiing mode was recently leaked in firmware details for Apple's HomePod smart speaker. Now the question is whether all Apple Watch owners will have access to these new modes or whether they be reserved for new hardware, say, an Apple Watch Series 3. That could mean new sensors will be on board to offer more precise tracking. It could also relate to one of the biggest changes in watchOS 4 with native core Bluetooth support on the way making it easier to pair a huge range of Bluetooth-enabled devices. We've already spoken to surf tech startup Xensr, who's building software to connect its surf tracker with Apple's smartwatch. Another alternative is that could take the Fitbit and Samsung approach with these new tracking modes and record basic data like workout duration and heart rate data. Apple is rumoured to be planning an event for 12 September where we are expected to see a new iPhone joined by a new Apple Watch with LTE support tipped to be the standout feature.